EBL Coaching Article -- Help Your Child Learn to Love Math By Playing Fun Games! Help Your Child Learn to Love Math By Playing Fun Games! Many kids feel they are “bad” at math. They struggle with their math homework, keep quiet during math lessons at school, and think math is “boring” and “useless” in real life. Yet math is in fact very practical in day to day life and can actually be fun! Help your child learn to love math with the ideas detailed below. 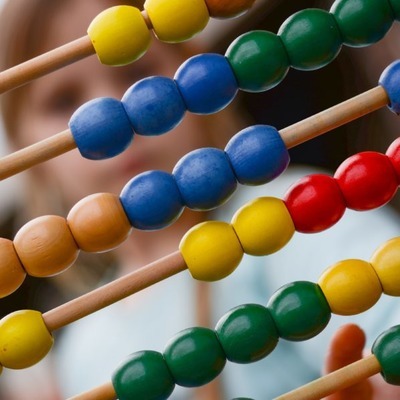 When your child is as young as preschool age, you can start to introduce basic math concepts. Go for a walk and have him count the number of people or dogs he sees. ‎When you go grocery shopping, put four oranges in one bag and three apples in another and ask him which bag has more and which has less. When he is a bit older you can introduce money. Show him the different coins and bills and explain their values. Then buy a pack of gum and tell him the gum costs 50 cents. If you pay with one dollar, try asking him how much change you should expect. It might take some time for him to fully grasp this concept but the more you practice it the easier it will become, and the more he will see that math plays a real role in everyday situations. There are so many great math skills building toys that your child can play with at a young age, and she won’t even know she’s doing math! Take Magna Tiles, for instance. Using these tiles, you can dictate individual numbers to ‎your child or write them on a white board, then have her create a line of Magnatiles using that number (i.e. write the number 3 and have your child create a line of 3 Magnatiles; hold up 5 and have your child create a line of 5 Magnatiles, etc.). Then ask her which lines contains more and which contains less. You can even try simple addition or subtraction problems using Magnatiles. For instance, draw the number 2 on a whiteboard and have her build a line with 2 Magnatiles. Next, write “+4” and have her create a separate line with 4 Magnatiles. Then ask her how many Magnatiles she has altogether. Once she counts them all, write on the whiteboard “2+4=6.” Playing with Tangrams, Marble Run, and basic blocks can also enhance core math skills starting at a very young age. Show your child how real and relevant math can be by doing math experiments and investigations with him. For instance, when you begin to walk or drive to school, ask him how many minutes he thinks it will take to get there. Once you arrive, check the time to see how long it actually took and compare his estimated time to the actual time. When baking brownies, ask him to try to figure out how much flour, sugar, and eggs you would need if you want to make half of the recipe. If you’re on a road trip, see if he can figure out how much gas you might need if your car can drive 22 miles for every gallon and your trip is 100 miles away. These types of experiments and investigations will help him see the importance of math in his daily life. As a fun activity, ask your child to take a poll of all of her friends’ favorite foods and record their answers. She might find that four of her friends love ice cream, three love mac and cheese, five love pizza, and two love hot dogs. Then, using a large poster board, help her create a graph with the foods listed at the bottom and numbers detailed on the left. Then have her draw a bar graph detailing the number of “likes” for each food item. Ask her to tell you which food item was most popular, which was the least popular, and also ask questions like “How many more friends preferred pizza over mac and cheese? How many preferred ice cream over hot dogs?” and so on. The same type of activity can be done with favorite vacations, hobbies, sports, or the like. It’s a great way to practice basic math skills while engaging your child in the process. There are so many great math games you can play with your child that are loads of fun. Try playing Shutes and Ladders with your child, for instance. ‎Your child will build basic number skills simply by counting up spaces (i.e. If he is on space 12 and rolls a 2, he must count up 2 spaces). If your child lands at the base of a ladder, ask him to figure out how many spaces he gets to move up. Likewise, if he lands at the top of a chute, ask him to figure out how many spaces he must move down. You can also try playing Yahtzee, another classic math game that builds math skills, or your child can play a multitude of digital computer games and apps that reinforce the skill. Math plays a key role in our everyday lives, well beyond flash cards and workbooks. Help your child see the value of math and have fun building this skill with these ideas, and she will be well on her way to math success.